Deliverables: 150-employee office suite including reception, executive conference room, break out rooms, break room, seating. Design Challenge: For their new office, the client wanted an entirely open floor plan for all 150 offices. 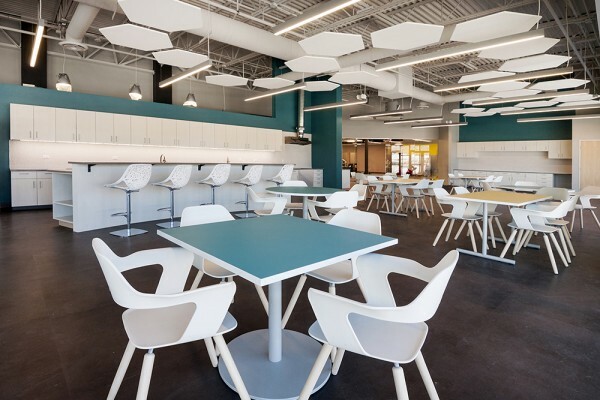 They also needed open air spaces for huddles and closed spaces for private meetings. Both sophisticated design and functionality was important. 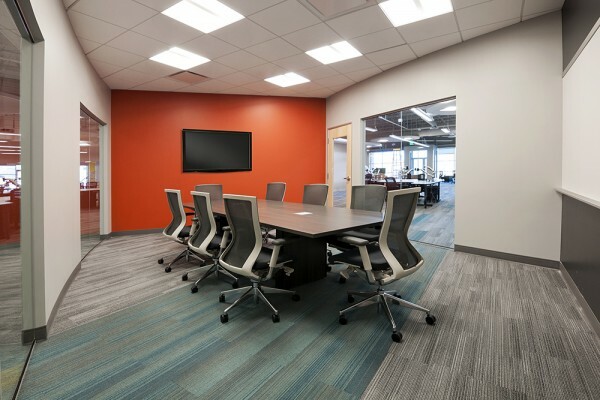 Teammates Solution: Large and small Teknion tables were spread in break-out rooms to allow for heads-down work. 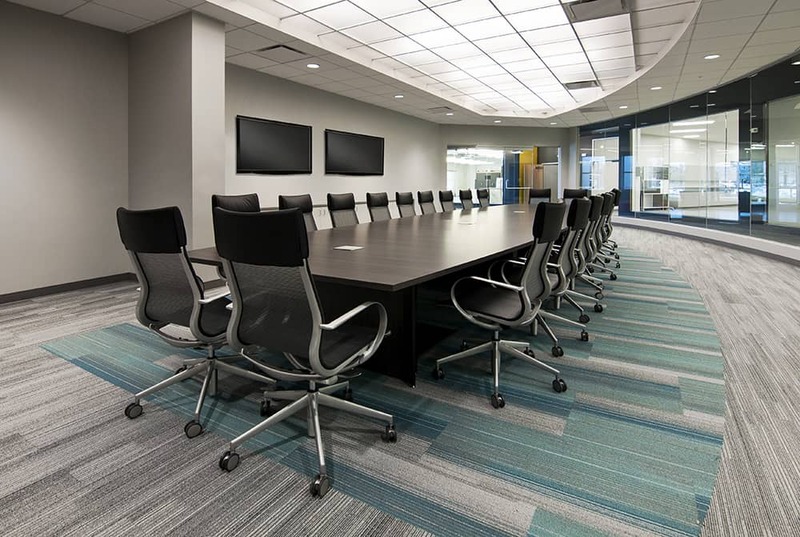 Small, casual seating areas made team meetings and scrum chats convenient. Sprawling views of the Front Range were also accented with modern design break room furniture.